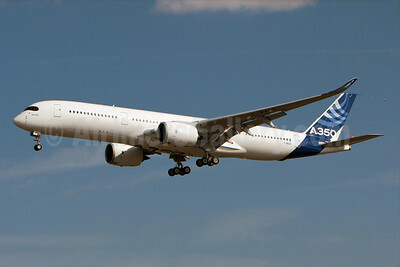 Airbus A350 Aircraft Pictures. Photos. Framable Color Prints and Posters. Digital Sharp Images. Aviation Gifts. Slide Shows. 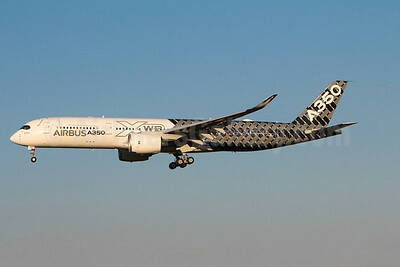 Airbus A350-941 F-WWCF (msn 002) (Carbon Fiber livery) TLS (Olivier Gregoire). Image: 922315. 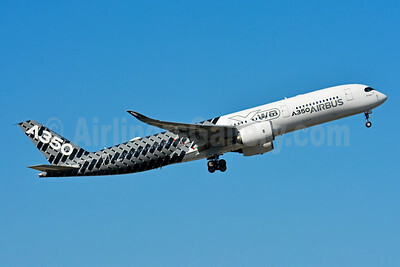 Airbus A350-941 F-WWCF (msn 002) (Carbon Fiber livery) TLS (Paul Bannwarth). Image: 928570. Airbus A350-941 F-WWYB (msn 005) TLS (Eurospot). Image: 923918. 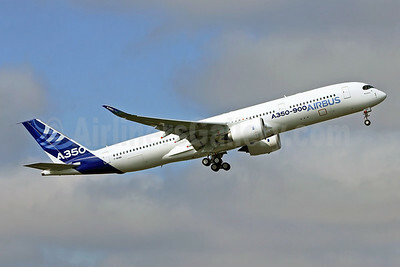 Airbus A350-941 F-WXWB (msn 001) TLS (Eurospot). Image: 912529. 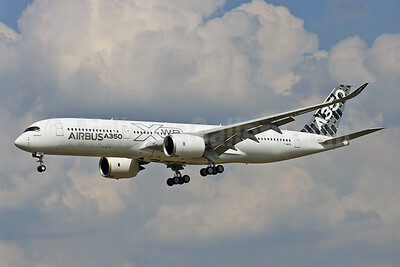 Airbus A350-941 F-WZGG (msn 003) TLS (Olivier Gregoire). Image: 913860. 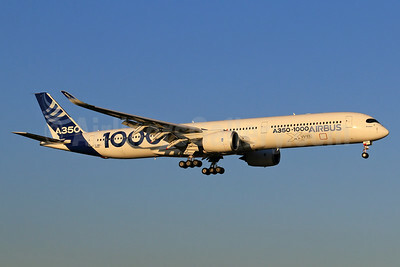 Airbus A350-1041 F-WMIL (msn 059) TLS (Eurospot). Image: 936201. 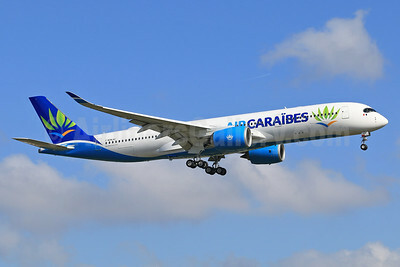 Air Caraibes (2nd) Airbus A350-941 F-WZNL (F-HHAV) (msn 082) TLS (Eurospot). Image: 936927. 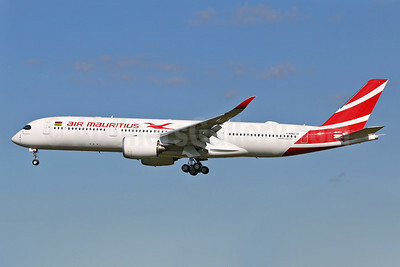 Air Mauritius Airbus A350-941 F-WZNN (3B-NBP) (msn 145) TLS (Eurospot). Image: 939412. 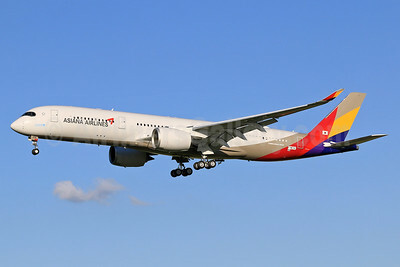 Asiana Airlines Airbus A350-941 F-WZNY (HL8078) (msn 094) TLS (Eurospot). Image: 937392. 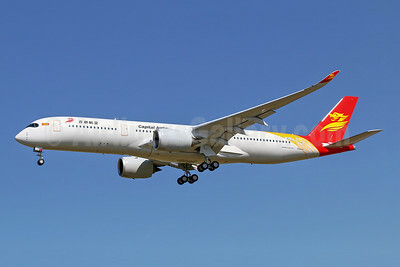 Capital Airlines (China)-HNA Airbus A350-941 F-WZFR (B-1069) (msn 098) TLS (Eurospot). Image: 943392. 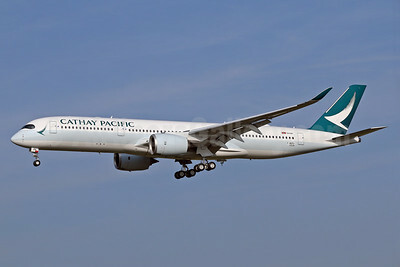 Cathay Pacific Airways Airbus A350-941 B-LRA (msn 029) LGW (SPA). Image: 935059. 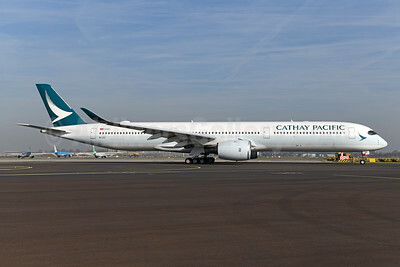 Cathay Pacific Airways Airbus A350-941 F-WZFX (B-LRA) (msn 029) TLS (Eurospot). Image: 932183. 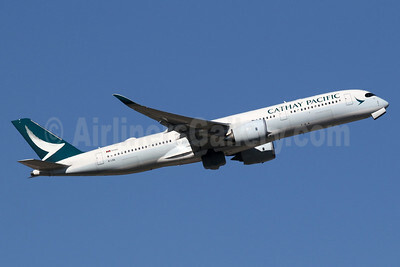 Cathay Pacific Airways Airbus A350-1041 B-LXD (msn 206) AMS (Ton Jochems). Image: 945710. 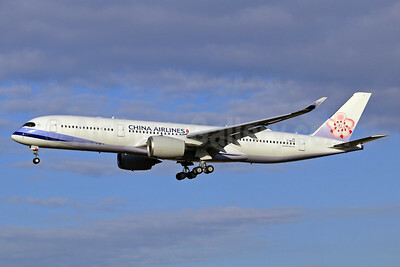 China Airlines Airbus A350-941 F-WZGV (B-18901) (msn 049) TLS (Eurospot). Image: 934924. 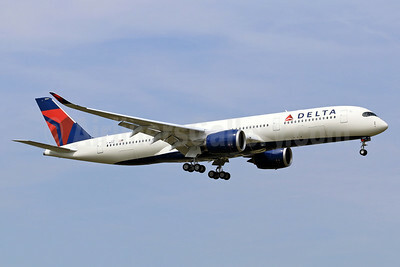 Delta Air Lines Airbus A350-941 F-WZGP (N501DN) (msn 115) TLS (Eurospot). Image: 938227. 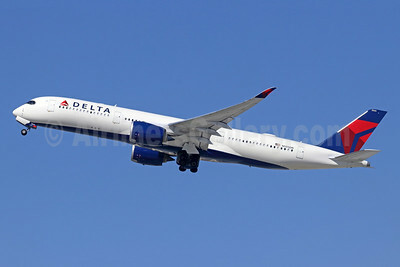 Delta Air Lines Airbus A350-941 N505DN (msn 164) LAX (Michael B. Ing). Image: 943857. First flight June 8, 2016 for the first Airbus A350 for Ethiopian, became ET-ATQ, named "Simien Mountains"
Ethiopian Airlines Airbus A350-941 F-WZGM (ET-ATQ) (msn 040) TLS (Eurospot). Image: 932371. 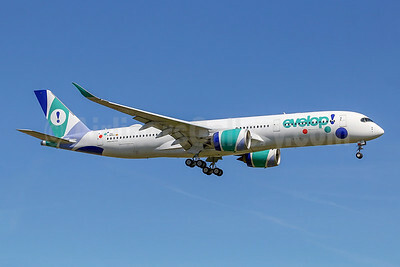 Evelop Airlines Airbus A350-941 F-WZHJ (EC-NBO) (msn 293) TLS (Eurospot). Image: 946016. 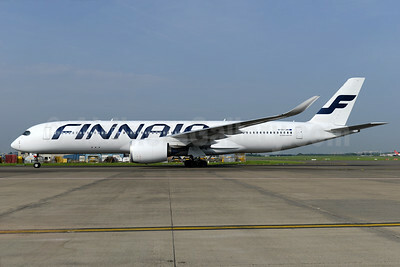 Finnair Airbus A350-941 F-WZFM (OH-LWA) (msn 018) TLS (Eurospot). Image: 929482. 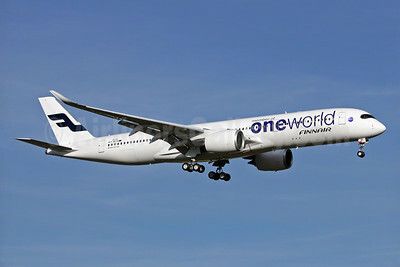 Finnair Airbus A350-941 F-WZFN (OH-LWB) (msn 019) (Oneworld) TLS (Clement Alloing). Image: 930609. 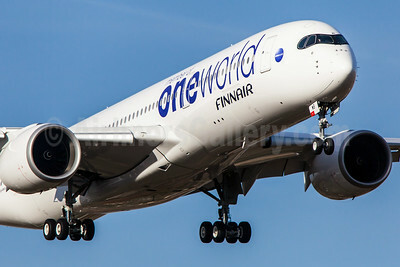 Finnair Airbus A350-941 F-WZFN (OH-LWB) (msn 019) (Oneworld) TLS (Eurospot). Image: 930600. 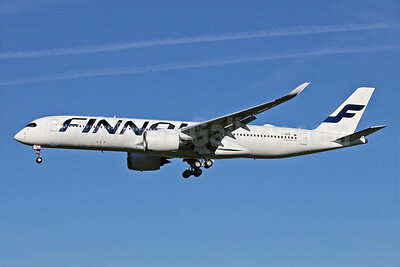 Finnair Airbus A350-941 OH-LWA (msn 018) BRU (Ton Jochems). Image: 932911. 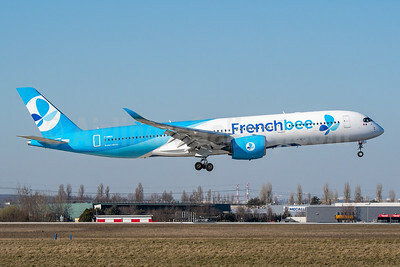 French Bee Airbus A350-941 F-HREU (msn 005) ORY (Wingnut). Image: 946107. 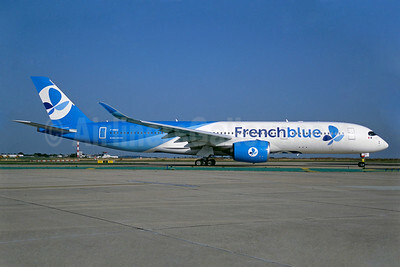 French blue (Air Caraïbes) Airbus A350-941 F-HREU (msn 005) ORY (Jacques Guillem). Image: 939208.